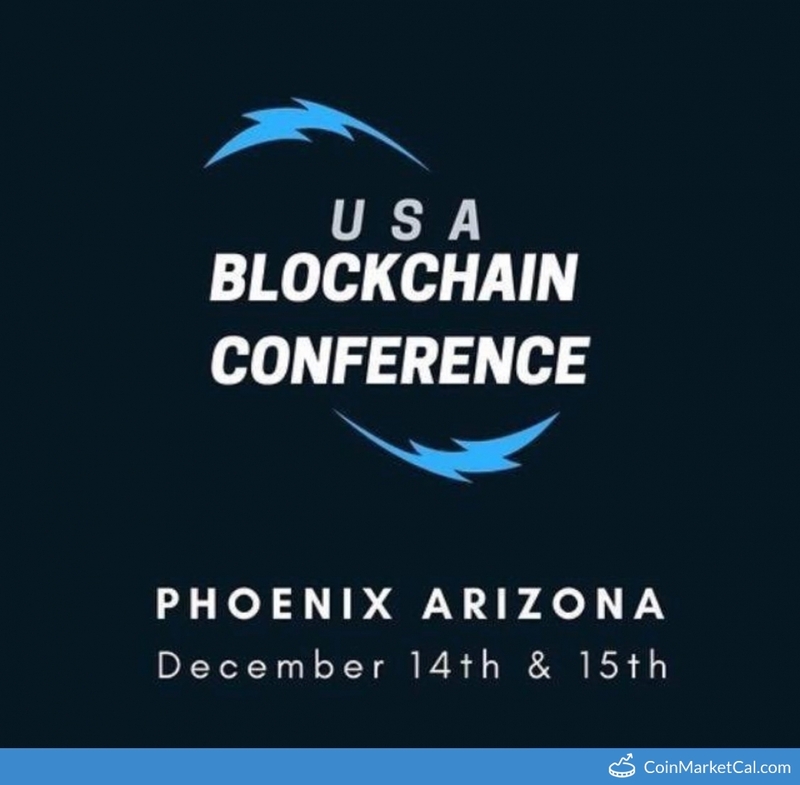 Ethereum Classic (ETC) - Events, Price, Market Cap, Supply, Exchanges and more! 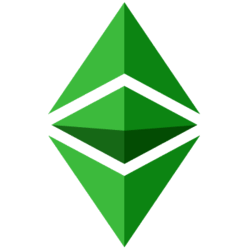 Ethereum Classic is a decentralized smart contracts platform which is a continuation of the Ethereum blockchain. 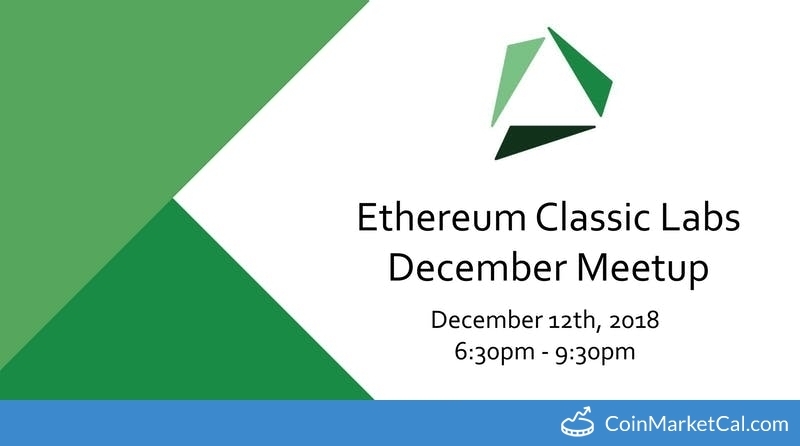 Ethereum Classic preserves original history, excluding external interference and altered transactions. 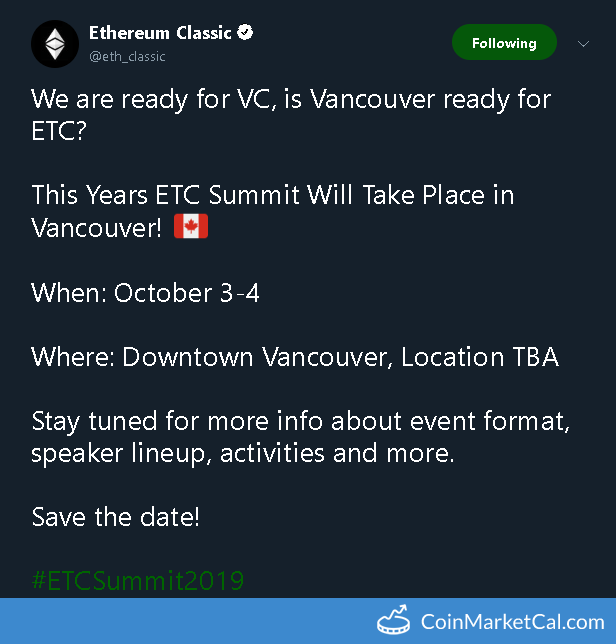 ETC Summit in downtown Vancouver from October 3-4. 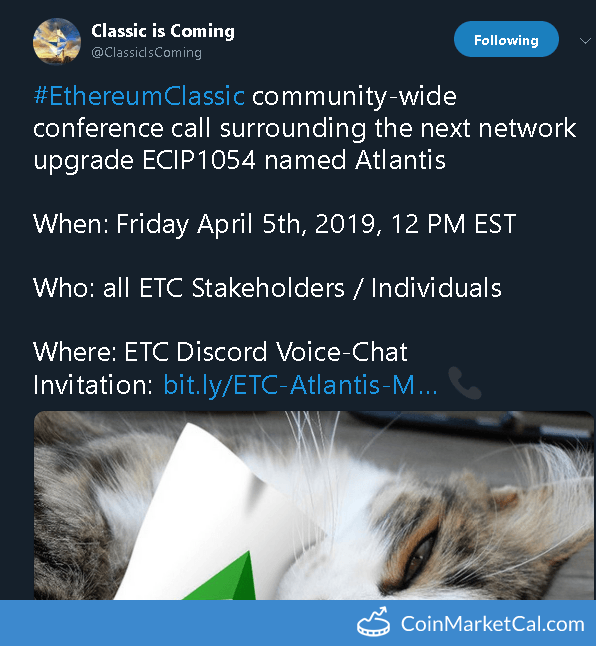 "#EthereumClassic community-wide conference call surrounding the next network upgrade ECIP1054 named Atlantis." 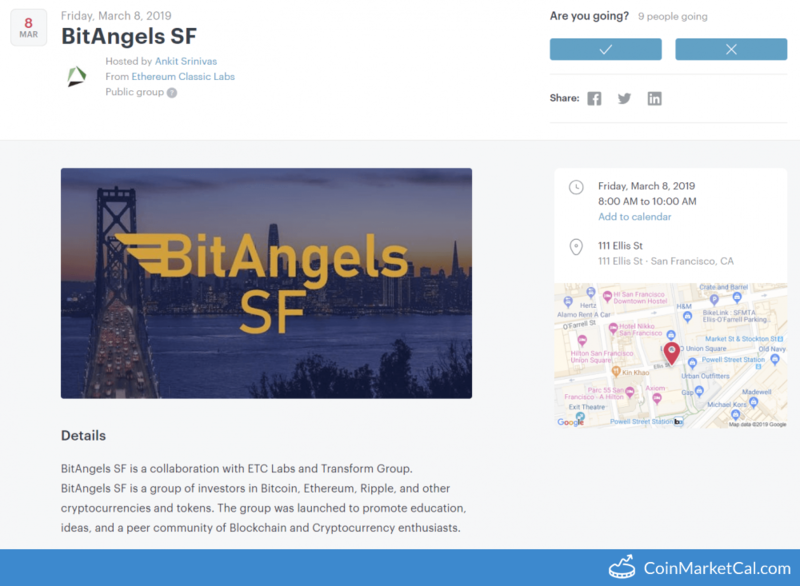 BitAngels meetup in San Francisco from 8-10 AM. 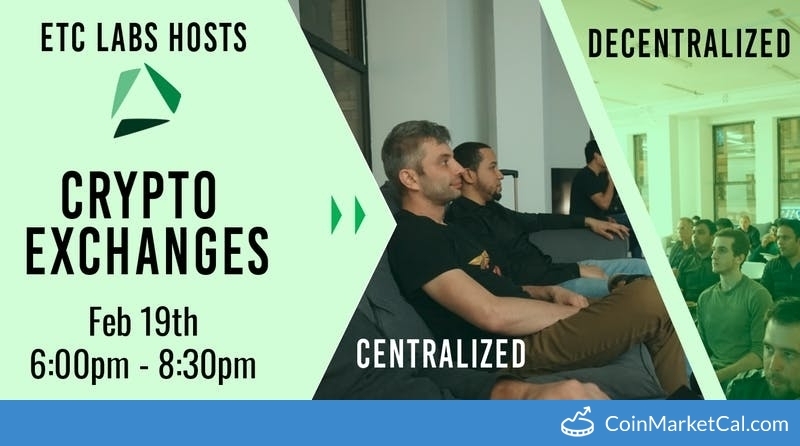 ETC Labs hosts "Buying Crypto: Centralized and Decentralized Exchanges" from 6 PM to 8:30 PM PST. 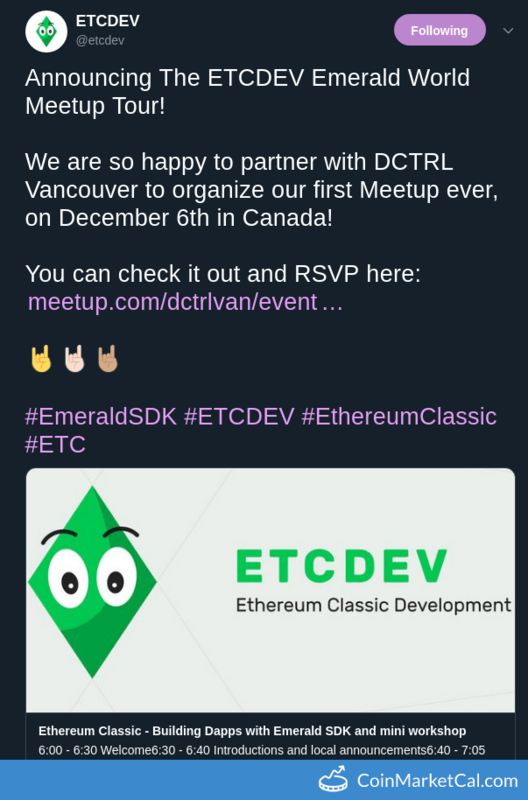 ETC Labs December Meetup December 12 from 6-9 PM PST in San Francisco, CA.